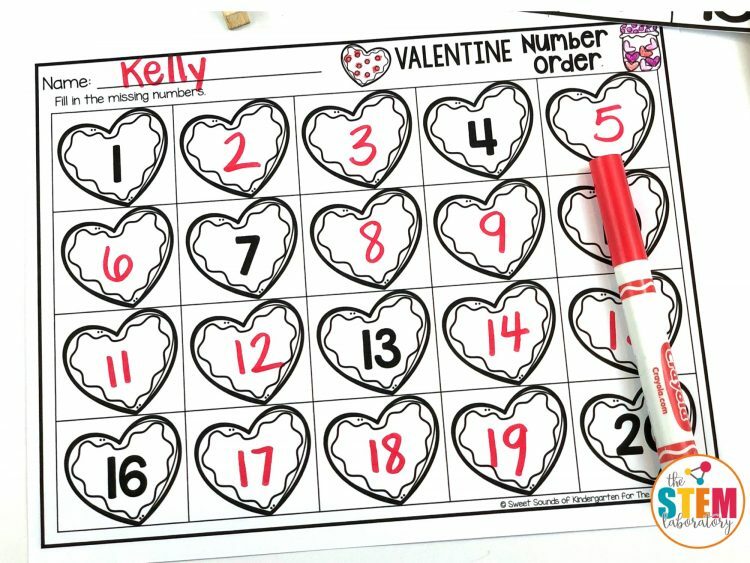 I LOVE everything about Valentine’s Day – especially the yummy treats like COOKIES! 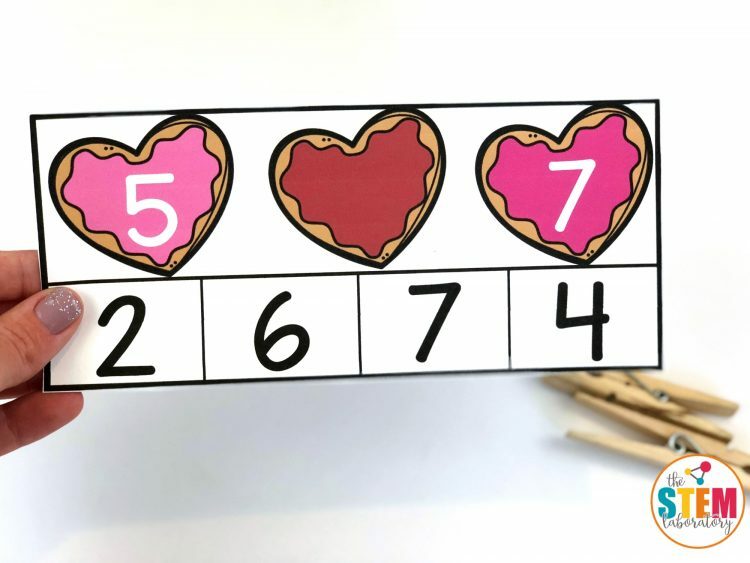 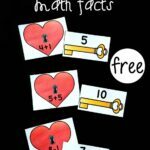 These Valentine’s Day clip cards and printables are a motivating way to help students work on number order and the counting sequence for numbers 1-20. 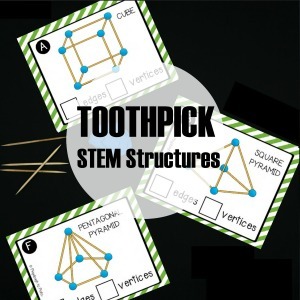 To prep the activity, I printed the clip cards on cardstock for durability, laminated and then cut them out. 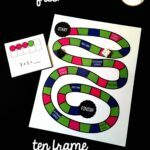 I also printed the worksheet that went along with the activity for my students to use if they finished working on the clip cards before the time was up in their math center. 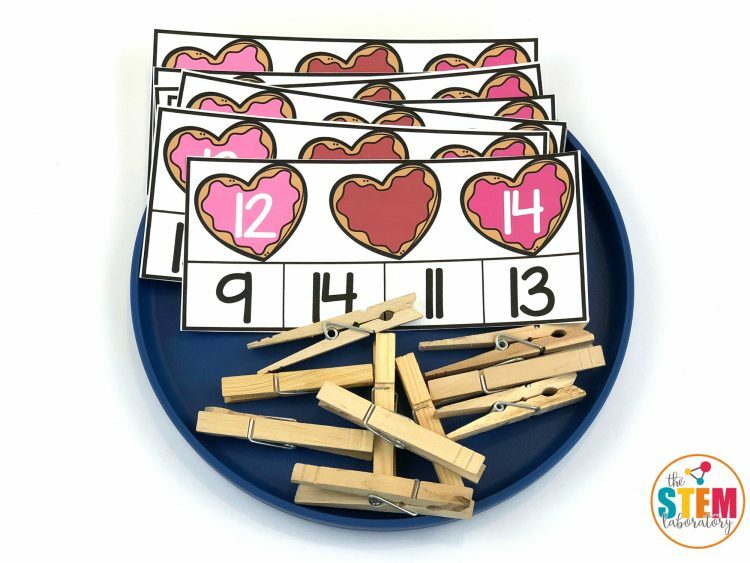 The only other supply that I needed were clothespins for my students to use with the cards. 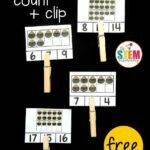 Each student picked a clip card from the plate and took a look at the counting sequence. 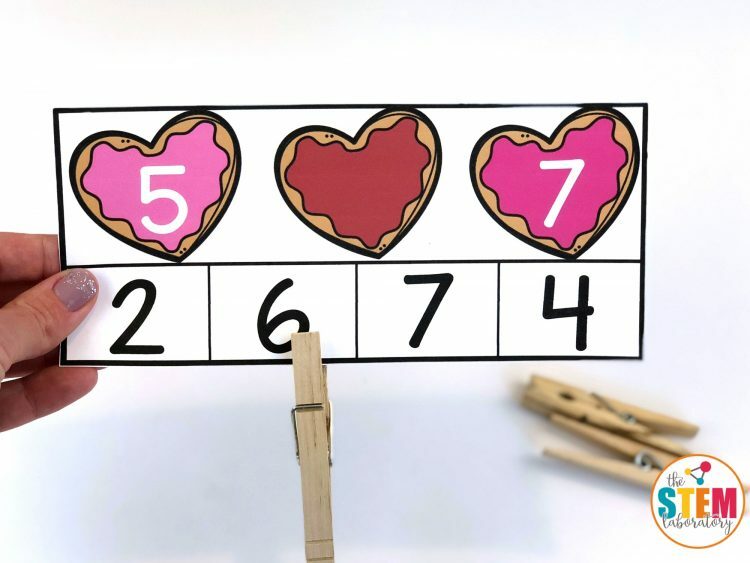 In this example, the student practiced counted 5, 6, 7. 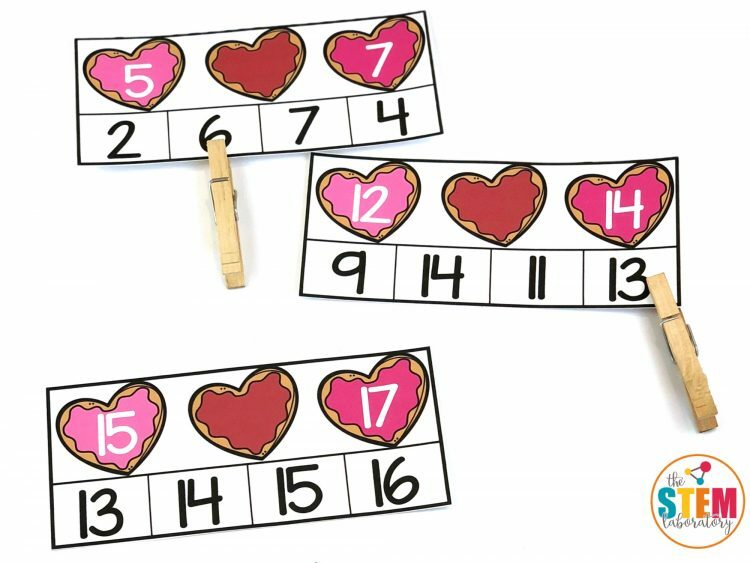 She found the number 6 below the cookies and then used a clothespin to clip the number and complete the counting sequence. 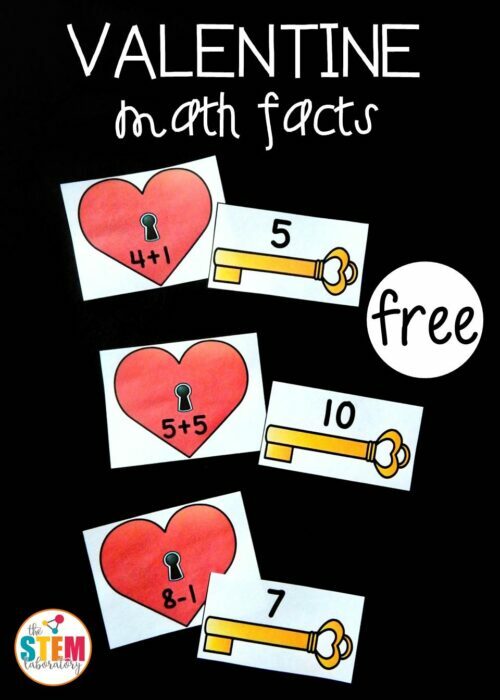 Students kept going until they had correctly clipped all of the cards. 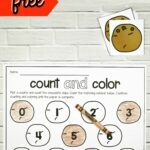 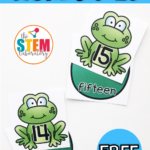 When children finished they activity, I had them complete a number order printable. 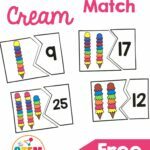 Students had to fill in the missing numbers up to 20 to complete the counting sequence. 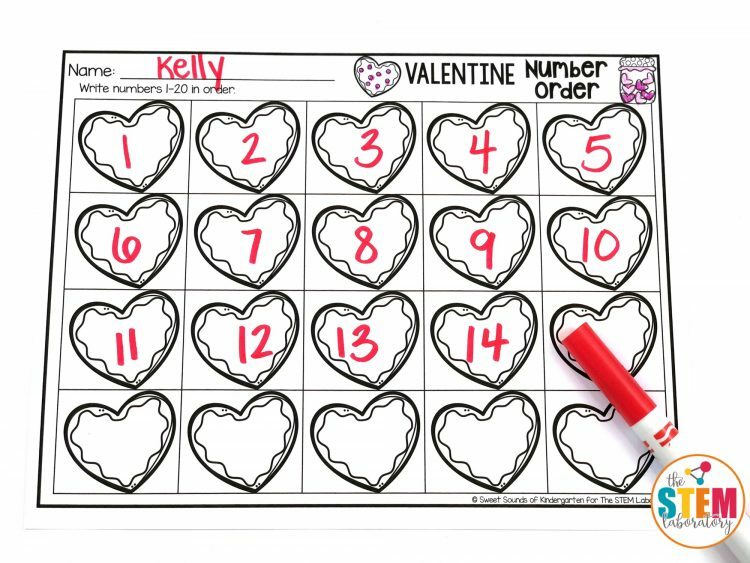 Are you ready to try these fun Valentine clip cards and printables with your students? 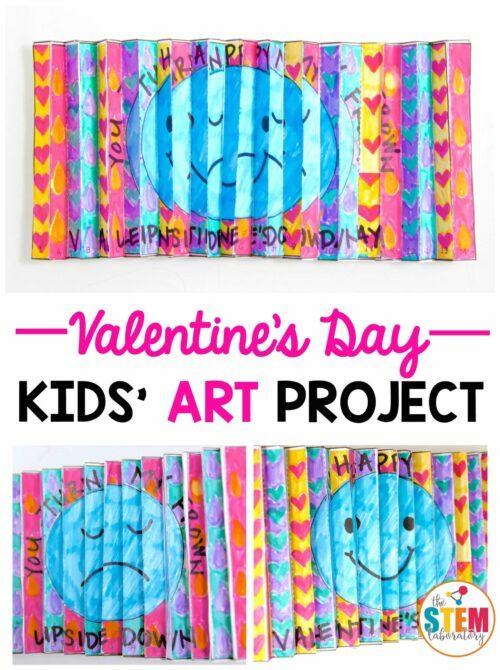 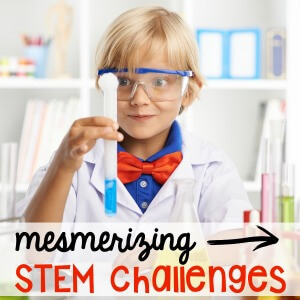 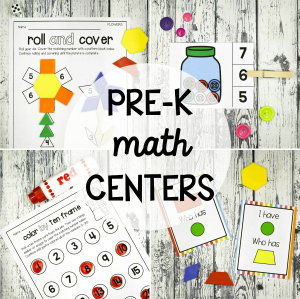 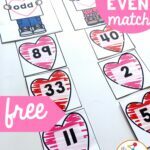 Click the blue download button below to snag your copy and then hop over and grab our math fact match up and Valentine agamograph art project too!